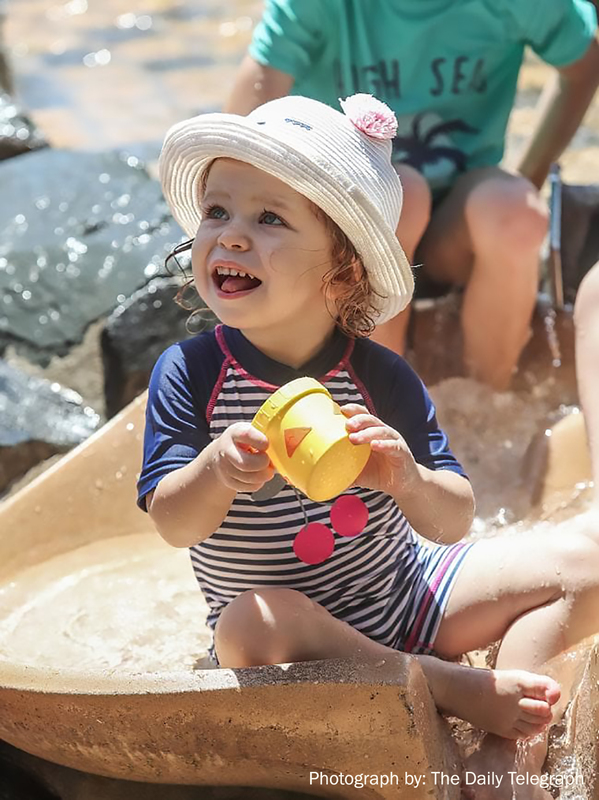 “There’s no better place to beat the sweltering heat this summer than Marrickville’s Steel Park…” according to the Inner West Courier and we couldn’t agree more! 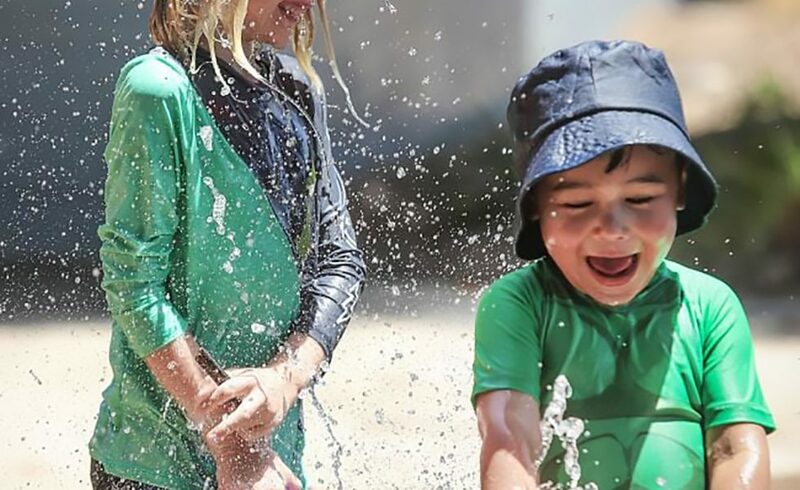 The endearing smile of sheer delight on young Jacob who featured amidst the cool water fountains, jets and sprinklers certainly put a smile on our faces too. The park is certainly proving to be destination COOL for what is looking like a long hot summer in Sydney. This water play park was designed by KI STUDIO, and encourages interactive water play in a natural setting. Loki Leggo 5-years enjoying the fountain at Steel park in Marrickville NSW, Australia. 1 January, 2019. 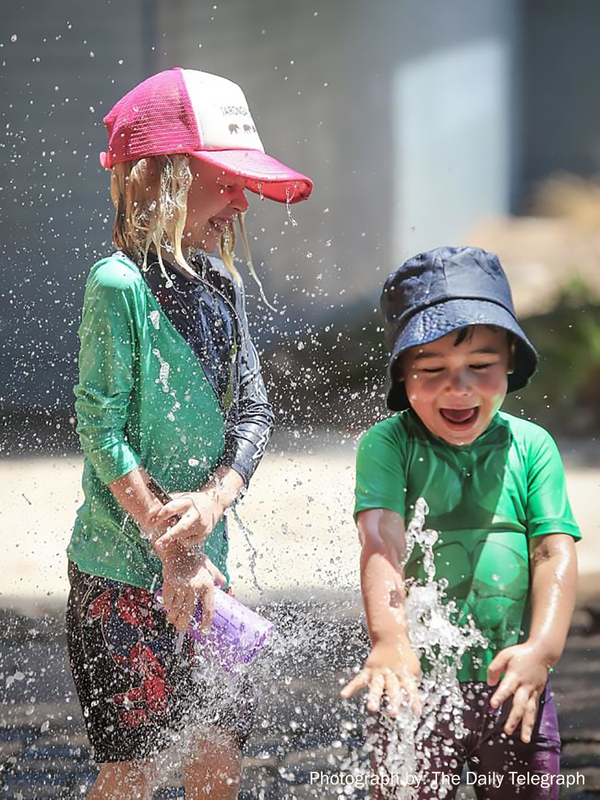 Kids enjoying the summer hot weather in Steel park for a nice summer spread in the inner west courier. (AAP IMAGE / Carmela Roche). Daisy 1-years old enjoys the fountain at Steel park in Marrickville NSW, Australia. 1 January, 2019. Kids enjoying the summer hot weather in Steel park for a nice summer spread in the inner west courier. (AAP IMAGE / Carmela Roche). Loki Leggo 5-years and Jacob Ballot 3-years enjoying the fountain at Steel park in Marrickville NSW, Australia. 1 January, 2019. Kids enjoying the summer hot weather in Steel park for a nice summer spread in the inner west courier. (AAP IMAGE / Carmela Roche). 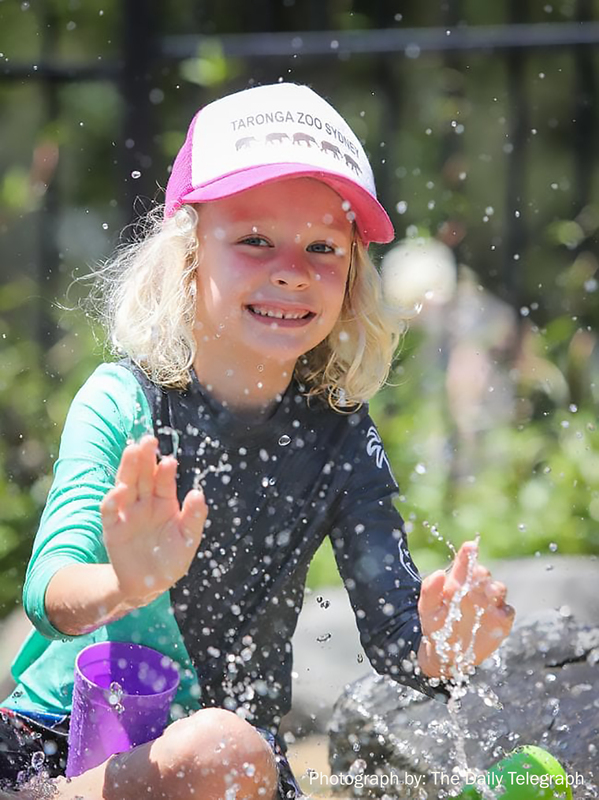 Harper 4-years enjoying the fountain at Steel park in Marrickville NSW, Australia. 1 January, 2019. 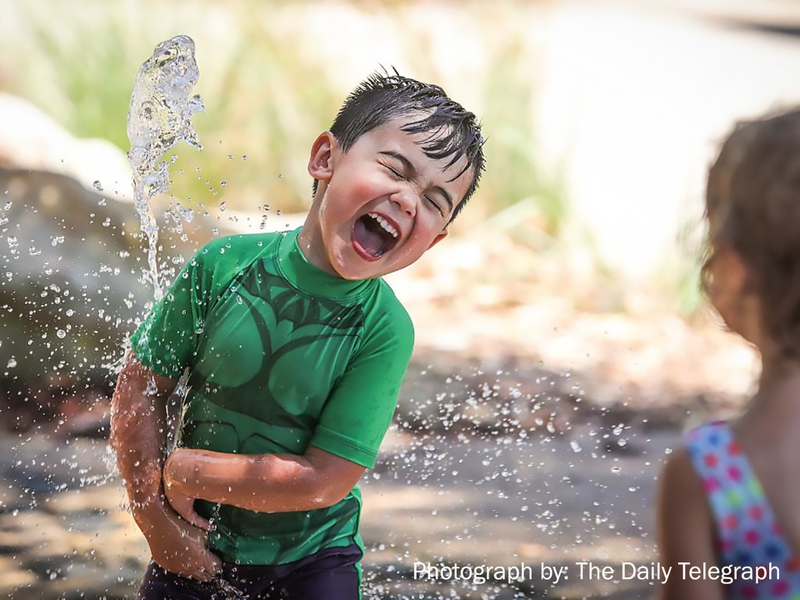 Kids enjoying the summer hot weather in Steel park for a nice summer spread in the inner west courier. (AAP IMAGE / Carmela Roche). Jacob Ballot 3-years enjoying the fountain at Steel park in Marrickville NSW, Australia. 1 January, 2019. Kids enjoying the summer hot weather in Steel park for a nice summer spread in the inner west courier. (AAP IMAGE / Carmela Roche). < We are hiring!! If you are up for a challenging role in our multi disciplinary studio let us know.